Fake AntiVirus (FakeAV), also known as a “Rogue AntiVirus”, Rogues, or ScareWare, is a class of malware that displays false alert messages to the victim concerning threats that do not really exist. These alerts will prompt users to visit a website where they will be asked to pay for these non-existent threats to be cleaned up. The FakeAV will continue to send these annoying and intrusive alerts until a payment is made or when professionals like Computer Care Associates gets rid of the problem. During the last year, the number of FakeAV has mushroomed. We have seen evidence of this by the numbers of customers who call us to help them extricate their computer from the clutches of this culprit. This huge rise in popularity among this type of malware writers is primarily due to the direct revenue source that FakeAV provides. Compared to other classes of malware such as bots, backdoor Trojans, downloaders and password stealers, FakeAV draws the victim into handing money over directly to the malware author. FakeAV is also associated with a thriving affiliate network community that makes large amounts of money by driving traffic toward the stores of their partners. Users who recognize they have a problem of this Fake alert are on the right track. The best action is turn off your computer. Let the professionals clean up the mess! Call Computer Care Associates (508-370-8080) and we will rid your computer of these types of problems. Do I secure my computer with a security suite? There are several protection packages that include a firewall, spyware protection, antivirus protection and web browsing protection. Do they really help? My answer to this is they do not help give your computer extra protection. Instead, they slow down your computer from booting up and from opening applications. I recommend an antivirus program called Avast AntiVirus (free edition) which is found on the Computer Care Associates website LINK page. Avast AntiVirus constantly scans your computer, giving the user protection from Viruses and Spyware. For the (at risk) individual who “surfs the internet” I often put on a free firewall. However, there are risks associated with web sites. People often ask me “how did I get that virus?” The answer usually involves common sense; however occasionally spyware can be transmitted from a web site. Certain web sites that you trust and visit daily can be hacked to distribute spyware. Most of the time, the spyware is in the form of “ransomeware” which can show up as a warning on your computer. It may say you have viruses and tell you the only way to get rid of the spyware is to purchase a phony antivirus software over the internet. [so, be aware that there is this type of marketing ploy] You can also fall victim of “drive by downloads” which happens automatically without any user action, other than visiting the site. All browsers (IE or Foxfire] are equally at risk for attacks. There are ways to secure your computer so these risks are minimized. When I optimize a computer I look for certain software that is used to exploit the browsers. One thing I make sure I do is to uninstall old “java” software and install the newest java software. The newest java software has fixed many older problems. So when I see old java” applications, that’s one red flag that I see. A good rule of thumb is – if it seems too good to be true it probably is. 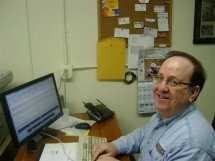 Computer Care Associates in Framingham, MA will do everything to keep your computer in good working order. However there comes a time when a computer is over 5 years old, and due to constant technological advances and software requirements – your 5+ year old computer should be upgraded. For this type of machine, the best advice is to buy a new computer and transfer the data. Transferring the data is not as easy as it sounds. You don’t want to transfer viruses, spyware or any corruption from the old computer to the new computer. We scan the data with several different antivirus scanners, and malware scanners to make sure the data is clean before moving it to a newer machine. Then the data can be transferred safely. 1) the hard drive needs to be removed from the old computer, backed up and scanned. 2) the data can be backed up to an external hard drive and scanned. We do not sell new computers, however we consult on buying new computers. We find out what you use the computer for and advise on how much memory you need, and the type of processing speed you need. We also will setup the new computer once your purchase has arrived. However you must provide the software applications such as Microsoft Office, Quickbooks, Quicken, etc. A cloning process to move these applications from the old computer to the new one is possible but not recommended. The best policy is to put the applications freshly installed into the new computer without bringing in old problems from the old computer. Computer Care Associates has personally tested various software applications and recommends certain products. Check out our LINKS page on our website for recommendations. Our own personal experience with certain software products may differ from yours. Before downloading any of the protections listed, review (or add comments) our BLOG or contact us at 508-370-8080. Feel free to comment if you have an opinion about certain software products. For an explanation of our SERVICES, please explore our new website. We have also included TESTIMONIALS from customers, past and present. Thank you for your personal referrals and continued associations. Computer Care Associates has updated and improved their website. We encourage your comments and have worked to make our website user-friendly. Please stop off to visit the new website. The address is: www.help4computers.com.